When we were growing up in the Eighties on the Isle of Wight, my father often took me on adventures to climb the cliffs around the coast. I have strong memories of it being such a beautiful place — but I also remember the litter that people would leave behind. As a child, it made me sad that people would want to ruin the island like this. I’ve always felt strongly against littering. We were brought up to be respectful, whether it’s to your friends, family or the environment. Those things mattered much more to my parents than good school reports. Luckily! Now that I’ve got a family of my own (three sons aged ten, 12 and 15), I’m even more conscious of the need to be vigilant about recycling, picking up litter and trying to set a good example. Kids always learn more by looking at how we live than by what we say. Although much of my life is spent travelling to some pretty remote corners of the world, we always spend part of each year living together as a family on an island off the coast of North Wales. It has few amenities and no organised rubbish collections. So it’s down to us to reduce, reuse and recycle as best we can. I am definitely trying to dramatically reduce my own use of plastic and we always do what we can to encourage others to be more aware. Making solid laws about single-use plastic is going to be key to all our futures. It just needs politicians to be bold, stand up and do the right thing. We produce many different survival products and are ensuring our partners all know our team’s stance on plastics as we grow and move forward. Recently, we launched a new camping line and it’s great to see it using recyclable packaging. It’s also about making small tweaks to how we live. For example, I now always take my new BG flask with me, instead of using plastic cups. Using a reusable bottle such as this is a simple way to cut down on single-use plastic and it all helps. In my 20s, I served as a soldier with 21 SAS and one of the fundamental lessons — in terms of combat survival — was to ‘leave no trace’. That meant not dropping even the smallest bit of litter that might alert the enemy to your presence and packing up and taking everything with you, including solid human waste. As a team, we do our best to ensure litter-clearing is non-negotiable on all our film shoots — wherever we are in the world. 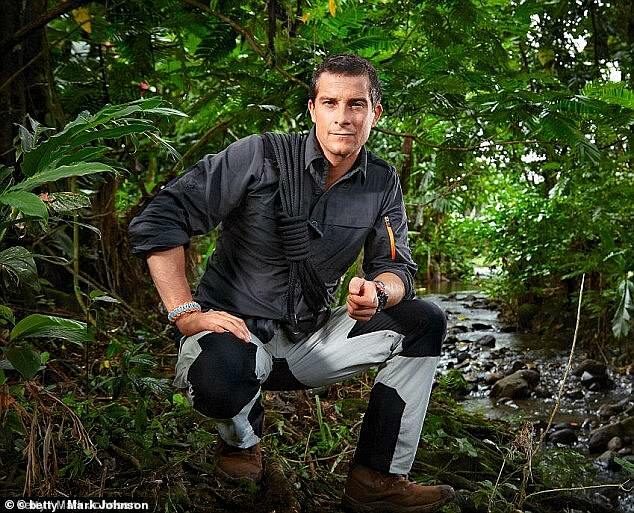 We’ve got a new survival-adventure race show, Eco-Challenge (out on Amazon next year), and the competitors will be under strict rules to carry all their rubbish with them. Living and working so close to nature, as I frequently do, has bred a natural respect for it. I feel we all need to think of ourselves as stewards and custodians of this Earth, to look after it and nurture it for the future. I am painfully aware that we have finite natural resources and ever-growing environmental threats — most of which, like plastic, have been caused by us. I have seen first-hand the devastation that’s caused by plastic littering. Great swathes of it wash up every day on the remote island beaches near Panama where we film the Channel 4 survival series The Island and I’ve stumbled across items of discarded plastic in some of the most remote and unlikely places, from the icy shores of Greenland to the Namibian Skeleton Coast. Even these areas of wild beauty are becoming scarred. It is heartbreaking to witness close-up the harm that is also being caused to sea birds and mammals. Plastic pollution is such a huge issue that it is all too easy to feel the task is too great. But if we all can introduce just one or two changes, then it can make a big difference. Across the UK, we have such beautiful outdoor areas, which everyone should be able to enjoy free of trash. If we all simply stopped dropping litter, and started picking up any rubbish we find, then we would start to see dramatic positive changes. As Chief Scout (a role I’ve been honoured to have for ten years now), I am proud to see Scouts and Scout groups always ahead of the game and doing their bit. We have been working in partnership with the Canal & River Trust to create a new Plastics Education Pack designed to give Scouts across the country a clear understanding of how we can reduce plastic pollution and practical steps we can all take. Litter-picking fits in with core Scout values of care and respect and helping out whenever you can. 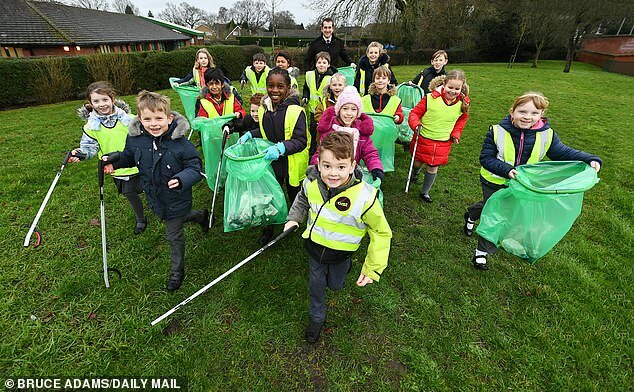 I have always been amazed at everything Scouts across the UK already do to look after their communities, especially when I see them out on litter clean-ups. Many groups regularly clean up local areas, giving their community clean spaces to use and enjoy. I so admire the Daily Mail’s initiative around this critical issue and I am proud to be supporting the Great British Spring Clean in every way I possibly can. The secret to being happy at 48? Bag Britain’s most eligible bachelor!